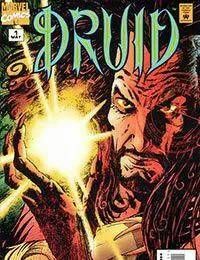 Published under Marvels Edge sorta-kinda imprint, this title, starring Dr. Druid, was initially pitched as an ongoing series, but sales were so abysmal that it was downgraded to a 4-issue mini. The creative team of Warren Ellis and Leonardo Manco came together from Marvels critically acclaimed but also terminally low selling Hellstorm: prince of Lies book that had just been cancelled, and Marvel was eager to get them together again for another book and to hopefully garner more acclaim and maybe some better sales. It didnt work. Good story, though.